Have we as a fire service lost our focus on solid company level firefighter training? Since when did we replace training with “experience” or my personal favorite “WE ARE TOO BUSY TO TRAIN”? These excuses are simply not acceptable! Today’s fire service is not going to the same amount of fires as 20 years ago. Which should be a dead indicator that we need to be on our “A” game when the tones strike. Sadly this isn’t the case most of the time. In today’s modern fire environment we can’t afford to utilize the same old fashioned tactics of yesterday, we must be on top of our game. This plague of “been there done that” firemen has set the American fire service on a fast track to defeat. I don’t believe this pandemic is a departmental issue, I believe it’s a nation wide crisis. I am currently assigned to a high call volume truck company in a moderate sized department. We face the battle of “being too busy” daily. But the crazy thing is we still find time to sharpen our skills with basic level firefighter training. Crazy right? Not at all, we are a customer service oriented organization. We owe it to the communities we serve to not only be proficient, but to be super stars in their time of need. The battle to train is a continuous fight, it doesn’t stop nor do I think it ever will. So gents how do we fix this? What is firefighter training to you? Is it pre plans, sizing up structures on medicals, stretching and throwing ladders on still alarms or simply a coffee and table talk? We have to be cautious with table talk because this can easily turn into the “good ole days” talk. Please don’t get me wrong I absolutely love it, BUT it should not be a replacement for current fire ground training. The list goes on and on with possibilities that we can utilize to provide training for ourselves and our peers. The simple fact of the matter is, we are going to fires this day in age that are far too advanced for “bread and butter” tactics. OUR enemy is explosively more lethal now than ever. We are obligated to combat this with highly trained and disciplined firefighters. Complacency is a KILLER we witness far too often. Let’s make a stand to stop this, CONTINUOUSLY sharpen your craft, understand your enemy and stay studious to the job. Never stop learning absolutely NO EXCUSES, we owe this to THEM. If anyone has recommendations please by all means share! Stay safe and god bless. Author: Zebulon C. Pugh, Senior Firefighter assigned to Ladder Company 1 located at Headquarters for the city of Asheville Fire Department. 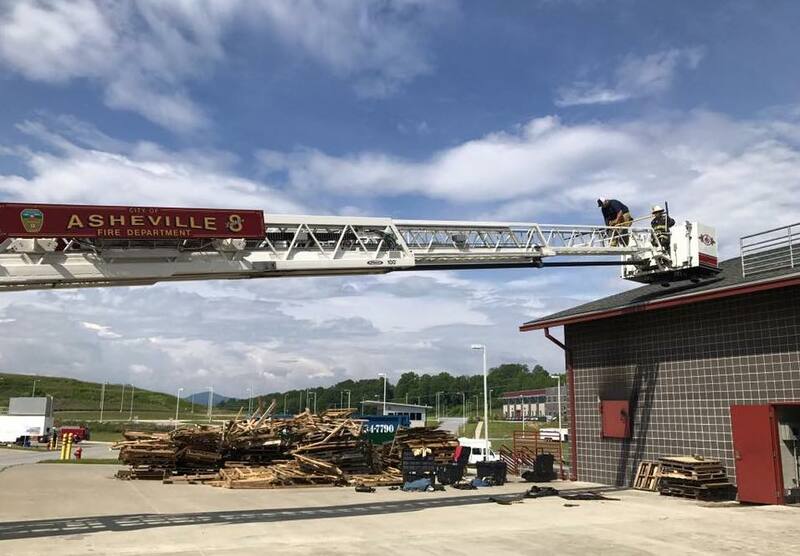 Zebulon currently instructs truck company operations for multiple academies along with Buncombe County Fire School Advanced Truck Operations.